1. RE-DISCOVER THE ROMANTIC IN YOU - Rarotonga has a centre of high mountains clothed in lush rainforest and fringed by white sandy beaches. At The Rarotongan, drift into a deep sleep to the sound of the waves pounding on the distant coral reef, then awake refreshed, walk along Aroa Beach hand in hand, feel the soft sea breeze on your cheek, sip a fresh papaya (pawpaw) juice and thrill to the dawn of a new day in Paradise. Pure bliss. Pure Rarotongan Beach Resort & Spa. 2. HONEYMOON ON RAROTONGA … OR EXCHANGE YOUR VOWS HERE! 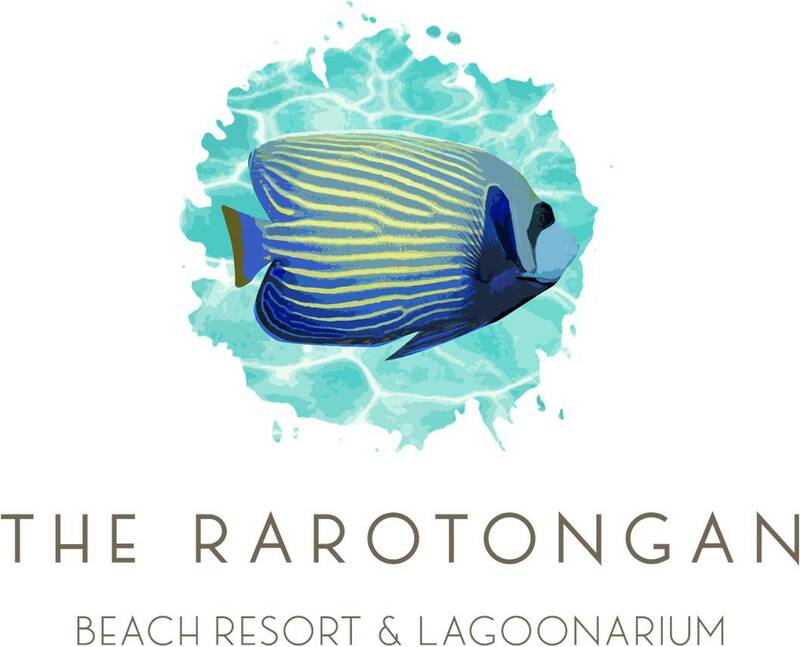 - For the ultimate in romance exchange your vows on the long white sandy shores of Aroa Beach lapped by Rarotonga’s beautiful Lagoon of Love (Aroa Lagoon) right here in front of the Cook Islands’ signature resort, The Rarotongan Beach Resort & Spa. Be surrounded by island serenaders, fragrant garlands, the soft popping of champagne bubbles and the golden light of the setting sun. For your truly memorable way to say "I do" you need be on Rarotonga just 3 full working days before the Big Day, and your marriage is legally recognized throughout the world. Or, renew your vows as a very special anniversary present! Whether wedding, honeymoon or renewal, sharing it in Rarotonga is the essence of romance. 3. EXPERIENCE THE UNDERWATER WONDERLAND - At Aroa Lagoon Marine Sanctuary, the protected marine sanctuary in front of The Rarotongan Beach Resort & Spa, you can walk straight in off the beach and snorkel in an underwater wonderland amongst rainbow-coloured fishes such as the friendly array of butterfly fish, sunset wrasses and parrot fishes, sheltered from the open ocean by the natural coral reef. Simply amazing! Koka Lagoon Cruises and Captain Tama’s Lagoon Cruises offer glass-bottom boat trips in the Muri and Tikioki areas, off-boat snorkelling and a beach BBQ on a deserted isle. And several PADI & NAUI-qualified dive operators offer excellent ocean diving over the reef in warm, crystal clear waters with 100ft (30m) visibility amongst rays, whales, sharks and turtles. 4. TASTE THE CULTURE - At Te Vara Nui or Highland Paradise enjoy such tasty island favourites as succulent island pork, lamb and gamefish rukau (taro greens), ika mata (fresh gamefish in coconut cream), or poke (said po-kay, banana pudding). Top island performers then drum and dance the night away with unforgettable energy and passion. 5. TAKE TO THE HILLS - Head into the lush rainforest interior to hear the island’s ancient stories and learn about traditional plants (such as Rarotonga’s Viagra, the nono! ), either on 4WD with Raro Mountain Safari Tours (Rarotonga’s most popular tour!) or on foot with guide Pa. Hike into the Takitumu Conservation Area to see one of the world’s rarest little birds, the endangered kakerori, or simply set off from The Rarotongan to explore the waterfall, villages, plantations, back country roads and beaches. 6. SET OFF ON A SHOPPING EXPEDITION - The mysterious and beautiful Cook Islands black pearl is a must-buy for anyone looking for a unique keepsake … and is the perfect gift for someone you love. Also look out for fine white ‘rito’ hats & fans made in the outer islands, wood & pearl shell carvings, locally-designed beach & resort wear, and even coconut-shell bras! Great buys at the busy Saturday morning Punanga-nui Market include prized tivaevae (Cook Islands quilts) bedspreads and cushion covers, fresh island fruits, freshly-caught tuna, and home-made delicacies. 7. EXPLORE THE ISLAND - Bike, walk, drive a jeep, go on horseback, take the circle island bus, hire a scooter, take a scenic flight or a guided historical tour. Points of historical interest include Avana Harbour in Ngatangiia where the Great Migration of Maori departed in vakas (great outrigger canoes) to settle New Zealand, the Great Road of Toi built of coral by the ancient chief Toi along Rarotonga’s inland route, Papeiha’s Preaching Stone in Avarua where the Christian gospel was first preached on Rarotonga, and the present-day palaces of the chiefs. A great memento of your trip is your Cook Islands’ drivers license, which you purchase at the central police station in Avarua town. 8. BE PART OF THE FRIDAY BIG NIGHT OUT - Friday is the big night out on Rarotonga, so grab a ticket to one of the island nite life tours and climb aboard thefun bus to catch the local dance floor action and check out the island's colourful bars and clubs. Great fun whether you’re young, or just young at heart! 9. LET YOUR SPIRIT SOAR - Take in the soaring harmonies which fill the historic white coral and limestone churches at a Sunday morning church service. People here still dress in their Sunday best, and women wear beautiful white ‘rito’ hats handwoven in the outer islands from fine coconut fibres. A wonderful way to meet the local people, and the singing will move your soul. 10. SAVOUR FANTASTIC FOOD - Share a mouth-watering ‘Island Girl’ cocktail served to you in a ‘his & hers’ goblet while gazing at another glorious sunset across Aroa Lagoon, the Lagoon of Love. Then ponder from a fantastic selection of dishes including seafood, steaks, pizza, pasta, burgers, salads as well as fabulous casual-gourmet dining options and Private Candlelit Dinners.